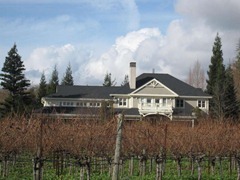 This past weekend we headed out to explore some of the Napa Valley wineries. We stopped in at Duckhorn Vineyards and were lucky they could squeeze us in even though we hadn’t reserved. Tastings were $15 ($25 for the reserve) and we would definitely recommend calling ahead for a reservation. The winery itself is beautiful. It’s surrounded by grapes and gardens and a giant wrap-around porch. This is the way you picture wine tasting in the Napa Valley! 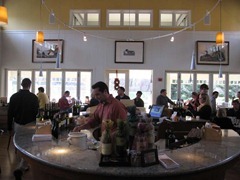 The tasting room has a large square bar in the center surrounded by tables. We were seated and served crackers and seasoned almonds to cleanse our palettes between wines. There is also an outdoor area with a covered patio overlooking the vineyard itself – beautiful! 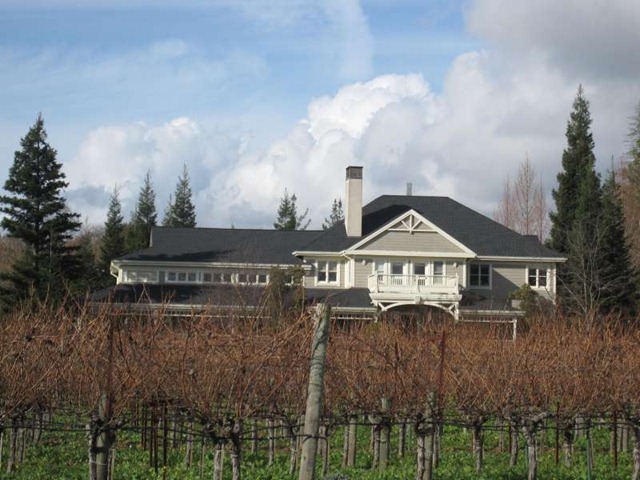 2006 Napa Valley Merlot – we found it vinegary with a strong after-taste – not fans. 2006 Cabernet – actually a blend with 20% merlot apparently to “soften” it. We found it still had a strong aftertaste, and lacked the complexity we were looking for. Overall, we were impressed with the lovely setting and the excellent, friendly service, but not by the wine. They lacked the bold, juicy, jammy taste we were hoping for.